communication services throughout the Kingdom of Bahrain. 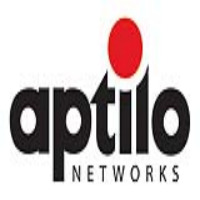 Batelco is using the Aptilo Service Management Platform [http://www.aptilo.com/aptilo-service-management ](TM) (SMP), a state-of-the-art system to deliver and manage carrier-class Wi-Fi services. Aptilo SMP enables carrier Wi-Fi in a highly scalable platform, supporting Batelco's rapid growth in rolling out Wi-Fi hotspots. The nationwide Wi-Fi rollout has begun with a number of hotspots including The Bahrain International Circuit, Seef Mall Muharraq and the Juffair Restaurant area. Additional locations will be launched rapidly during 2016. "Batelco's effort to cover Bahrain with Wi-Fi demonstrates the company's commitment in developing relevant Smart City solutions which help to maintain Bahrain's leading position on the international market," said Batelco Bahrain CEO Eng. Muna AlHashemi. In the first major step for the project, Batelco provided Wi-Fi for the Bahrain International Circuit during the 2016 Formula One weekend, making it the first international circuit to provide free public Wi-Fi. Approximately 70,000 visitors connected to the Bahrain Wi-Fi network generating over one terabyte of Wi-Fi traffic. Bahrain Wi-Fi will be available to all, providing a convenient service to Bahrain's population and visitors. Any Wi-Fi-enabled device will be able to connect to the Bahrain Wi-Fi through a landing page and benefit from a limited daily complimentary data allocation. Users will then be directed to the Bahrain Wi-Fi portal, enabled by Aptilo SMP, with easy payment options to continue using the service. Batelco's mobile customers will be automatically connected to the service whenever they enter one of the Wi-Fi hotspots. "Offering carrier Wi-Fi services is an important step in making Bahrain one of the leading technology hubs of the region," said Christian Jonsson, Director Sales, Africa and the Middle East, Aptilo Networks. "Batelco is on the forefront in delivering best-in-class technology and services." Batelco Public Relations Office, Public. Bahrain Telecommunications Company (Batelco) is the leading integrated communications provider in the Kingdom of Bahrain and an emerging force among the regions key telecommunications players. Batelco serves both the corporate and consumer markets in the most liberalised and competitive environment in the Middle East, and remains committed to delivering cutting-edge telecommunications to its customers in Bahrain and the MENA region. The Company's management and staff are driven by an enthusiasm for delivering the best customer experience based on innovation, affordability and reliability of products and services. Batelco's specialised services cover the full spectrum of telecommunications solutions for residential and business customers and span a comprehensive range of mobile services, international roaming, high-speed Internet connections, satellite services, WiFi, MPLS IP-VPN network provisioning and management, Datacoms services over fixed, wireless and internet platforms, managed services, systems integration and enterprise solutions. Batelco has invested US$1.4 billion in Bahrain's telecom infrastructure over the past 26 years, including significant investment in Next Generation Networks infrastructure which has reinforced the Kingdom's position as a leading communications hub. The Company's shares are listed on the Bahrain Stock Exchange with a total capitalization of approx US$ 3.2 billion as of February 2008. With an ongoing strategy to grow overseas, the Batelco Group incorporates joint venture operations in Jordan, Kuwait, Yemen, Saudi Arabia and Egypt.